I found this beautiful baby food jar chandelier at Natural Home Magazine. This would go great in the dining room, breakfast nook, or even an outdoor eating area. 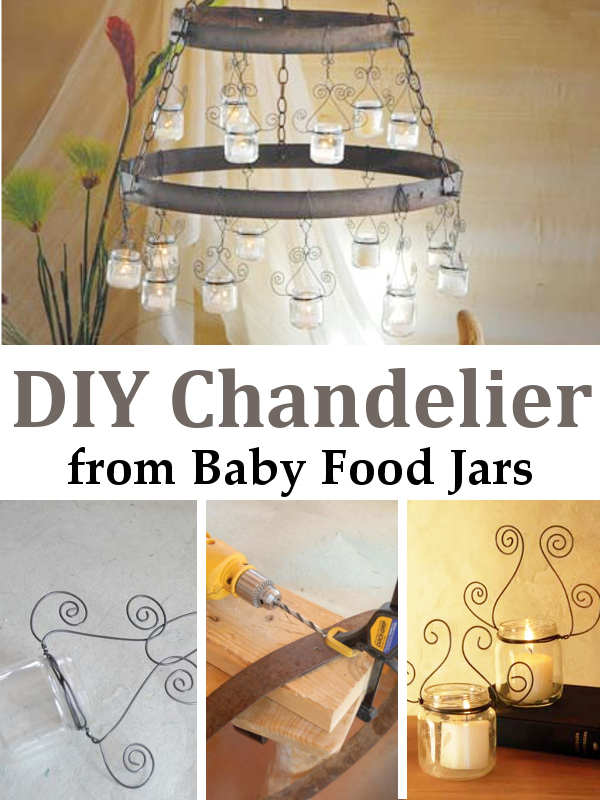 Love your baby jar chandelier project idea! . I say them too, for hardware and doo-dads, and even snowglobes. I also save the plastic containers for small amounts of paint for my craft and mural projects. Your have some great ideas!